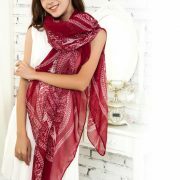 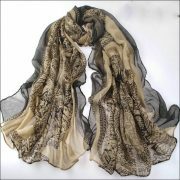 This is a beautiful Govi Design, high quality Voile Pashmina, which is very soft to touch, and warm for cold evenings. 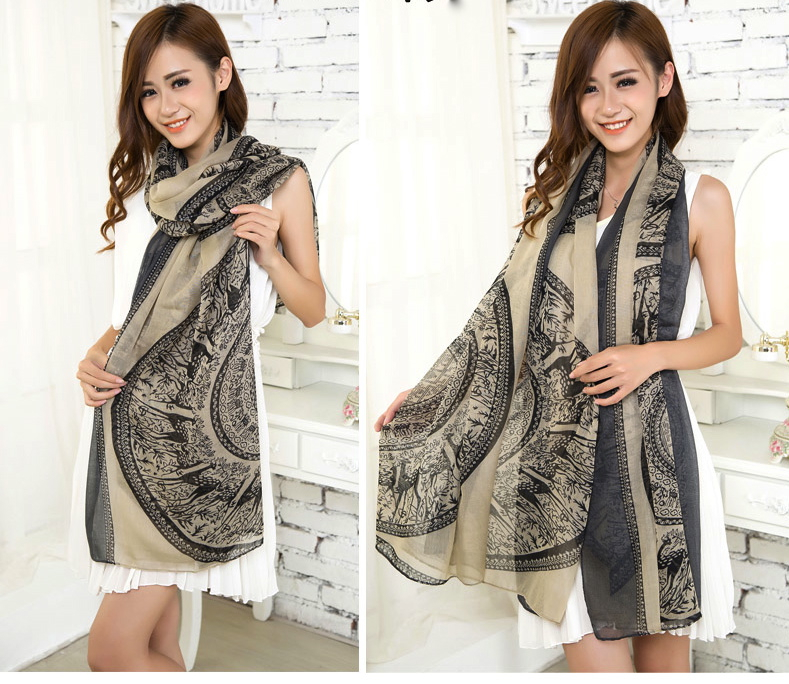 The material is a see through, veiled design – very light and warm. 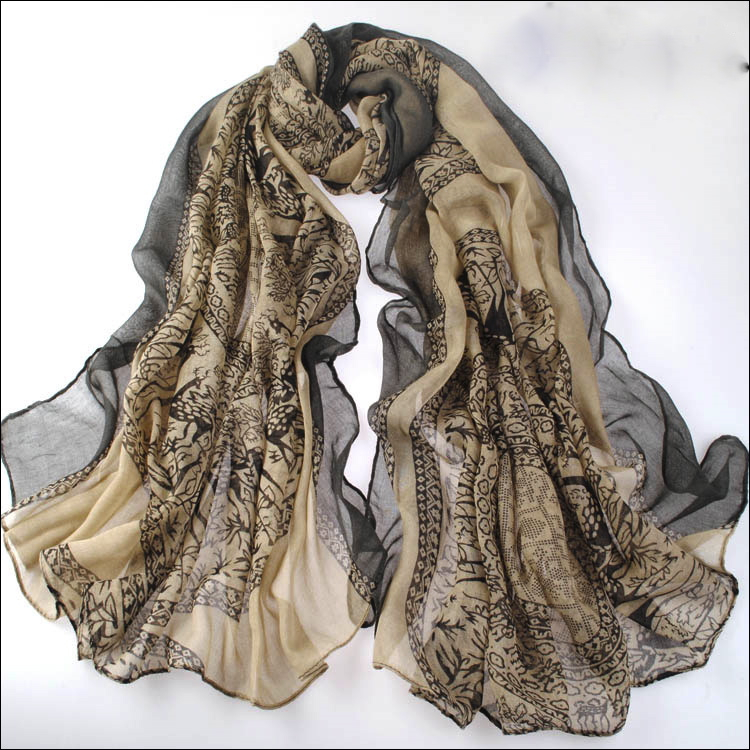 The colour is beige and grey, with an intricate and subtle Govi design.